When you need a few more serving than a round cake will give you, use a square cake. This one is a 6″-10″-14″squares, with 2 layers in each tier, piped butter cream dots. 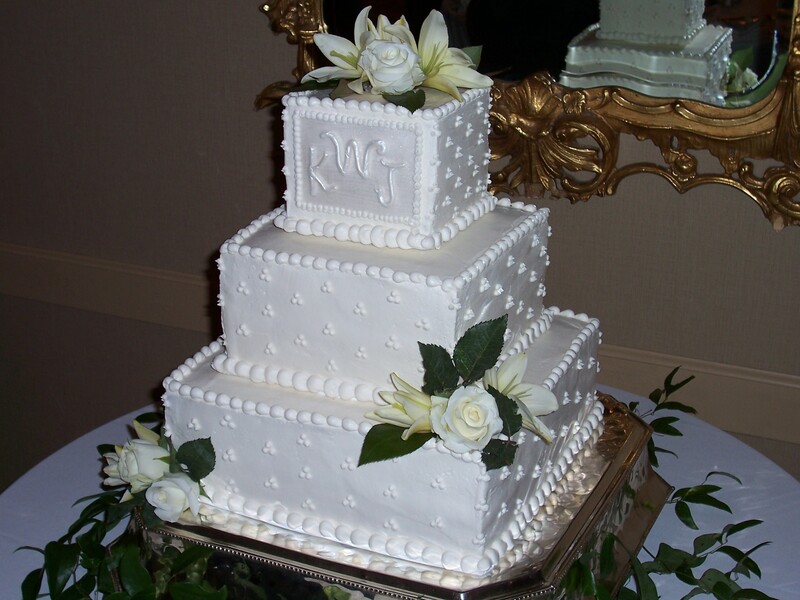 The monogram is fondant.Fresh flowers are white roses and lilies.Very simple but pretty.